I love this paper collection. I used a technique I use in my heirloom sewing called Sharks Teeth in these projects. This technique creates points with a nice folded edge to give it a beautiful finished look on its edges. Its easy and can be made any size for any project. I use it on layouts as well. The box was one I had around the house that I intended for a gift box. 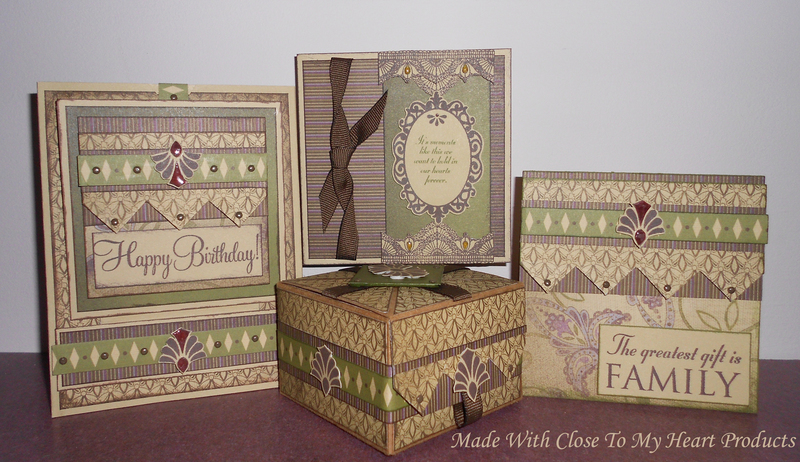 I made it to go with this group after I made this birthday card and box as a gift for a friend. 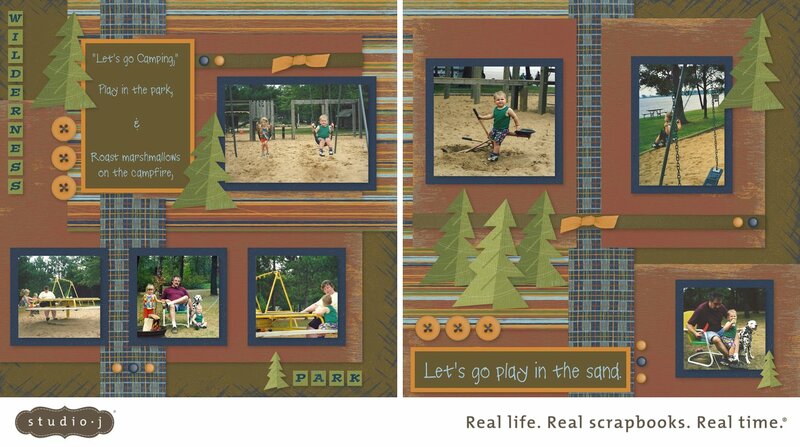 The birthday card is created from a card I received in a swap at one of the conventions but have changed a great deal. It is a stand up card with a pull out message area on the back of the card. Camping was so much fun with Sarah and Brandon. We must not forget the star of our camping trips “Cameo” our family pet. Fun was enjoyed playing in the park, swimming in the lake, roasting marshmallows on the campfire, laying on blankets looking up at the stars, taking hikes in the woods, visiting with other campers. The days were filled with fun had by all. 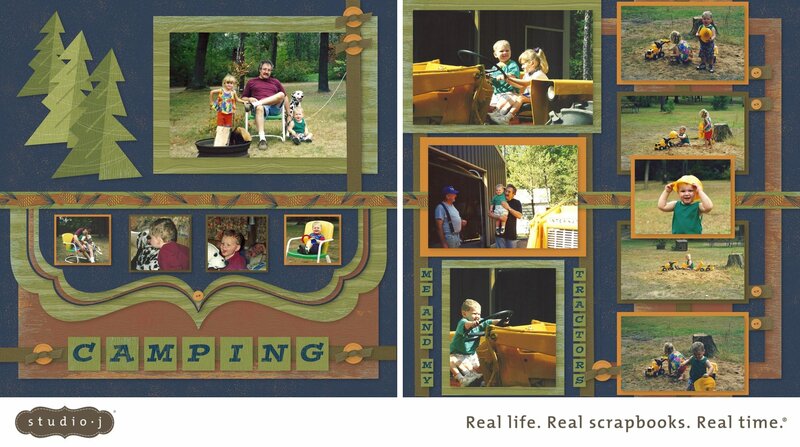 Me And My Tractor: These two loved to go camping with us and we took them often when they were small. 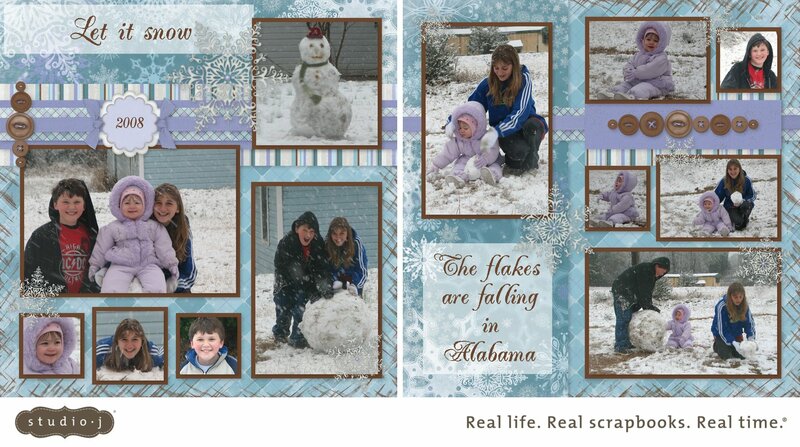 After living in Wisconsin and moving to Alabama, these kids were so happy to see the snow falling here in Alabama. They had so much fun making a snowman, sliding around in the snow, and the little one just wanted to catch the snow on her face and tongue. 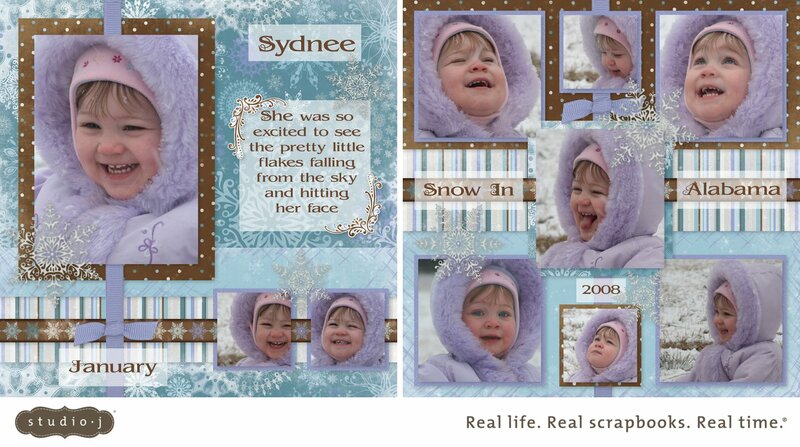 Sydnee loved seeing the snow falling from the sky.